Is it Time for Senior Home Care? Asking for help is not easy. Many times we get the phone call for home care after a fall or a rehab or hospital stay. Help has become necessary and doctors have recommended home care. We are ready for those calls, with programs like our Smooth Transition Care, we can help transition your senior loved one back to the home they love. 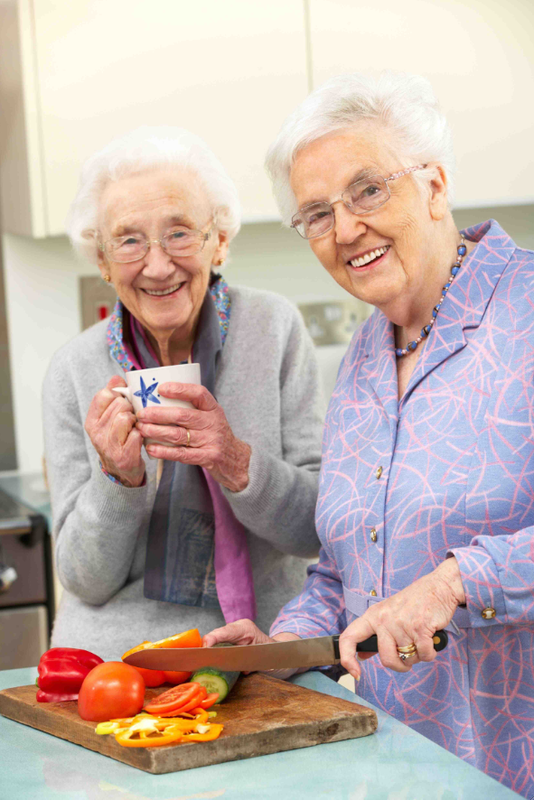 We are ready with home safety checks, appointment management, and a team of experienced caregivers to provide the very best senior care for the often challenging transition home. Even though we are ready to help families as they transition home, I often find myself wishing we could have been involved in the care a few steps earlier. Recognizing the need for care before an accident or a health change can be difficult. But, the holidays are a perfect time to assess your senior loved one’s need for some extra help. 1. Are there dirty dishes in the sink? When you visit your senior loved one’s house you notice that there are dirty dishes in the sink, a layer of dust covers the furniture, the beds are unmade, and the floors could use a good sweeping. Often times you’ll notice that the small housekeeping tasks start to become more difficult as people age. 2. Is the refrigerator empty? You open up the refrigerator and you notice that it is bare or contains expired food. 3. Have you noticed unexplained weight loss? When visiting your senior loved one you are surprised by his or her weight loss. Several factors can contribute to this such as depression, medications, or lack of proper nutrition. 4. Is there missed medication? Upon checking the medication dispenser you noticed skipped medications and empty prescription bottles. 5. Do you notice a fear of falling? You notice that your loved one moves tentatively around the house and struggles to stand, bathe, or walk. 6. Do you worry about your loved one driving? You worry about their safety as well as the safety of others, but you don’t know how to bring up the subject. If you answered yes to any of these questions, it may be time to call Preferred Care at Home. Our team of professional caregivers can be by your side every step of the way, from housekeeping to driving. Your senior loved one can remain independent and safe in their home with Preferred Care at Home. Contact a location near you to learn more.